According to Counterpoint Research 2015 4Q Market Monitor, total smartphone shipments in China registered a modest growth of around 2% annually. A decline in operator subsidies and saturating smartphone market were the key reasons for the slow growth. Going forward we estimate the replacement market will continue to drive demand, but mostly triggered by software and services innovation rather than hardware driven. The brands with better brand equity, standout design and a robust ecosystem of software and services will be in the driver seat to win the battle of upgrades in 2016. VoLTE phones to drive smartphone demand in second half of 2016: China Mobile aims to subsidize vendors by RMB 100bn this year, with a major focus on VoLTE phones. China Mobile also mandated that starting 2016, all 4G phones must support VoLTE function with a target to capture 30 million VoLTE users. Subsidies may apply to VoLTE phones that cost RMB 500 or below. As a result, vendors will have to align their device sourcing strategies accordingly and cooperate with operators to grasp this opportunity. 4G+ to become a standard configuration: Smartphones supporting LTE cat-6 or higher will be key, as carriers will increasingly drive and market 4G+ networks in 2016. 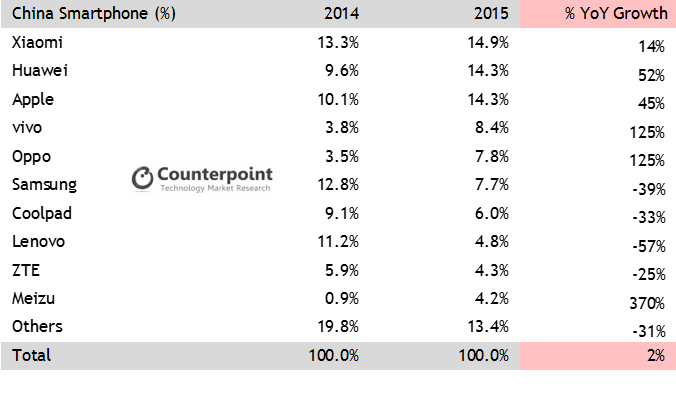 Counterpoint Research estimates that more than 40% of the phones in China will support 4G+ during 2016. This is positive for key silicon vendors such as Qualcomm and MediaTek. Dual camera possesses greater value: Camera is a major function for a smartphone and dual camera can significantly enhance the picture quality. In addition, dual camera can also promote the development of 3D spatial depth and iris recognition. Dual camera technology can bring greater value, but supply chain concerns remain and may limit the supply of dual camera designs. VR promotes the growth of 2K mobile phones: The performance for mobile phones with 2K display has been sluggish in 2015, but as screen suppliers continue to improve the cost structure and power consumption of 2K screens, we will see increased adoption of 2K screens in high-end smartphones in 2016. In addition, the burgeoning virtual reality (VR) market requires higher resolution screens to carry its content. This will also push the growth of 2K mobile phones. This is positive for players including LG Display, Samsung Display, JDI and others. Mobile payment drives the development of NFC and iris recognition phones: The 2016 virtual “Red Envelope” phenomenon is only the beginning of a thriving mobile payment market this year. The development of the mobile payments drives the growth of fingerprint and iris recognition technology. Operators and vendors will continue to develop NFC phones to improve the mobile payment experience for consumers. 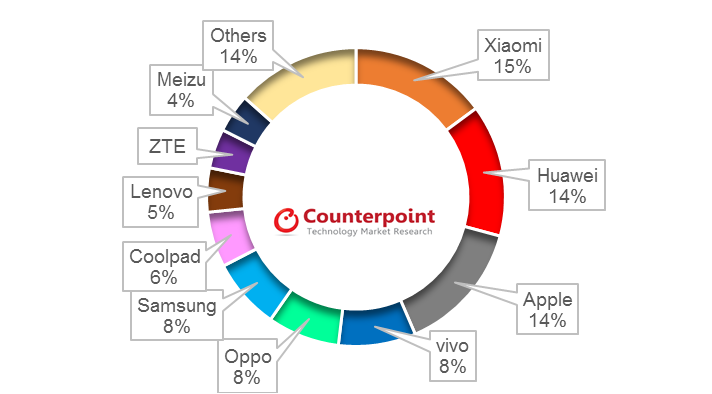 Counterpoint Research estimates that in 2016, 38% of the total smartphones shipped globally will be fingerprint sensor enabled and an even higher proportion in China. This is positive for companies including Fingerprint Cards, Synaptics and other players in the biometric reader value chain. 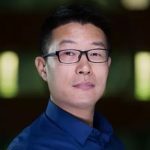 As the slow growth Chinese year of the Sheep has passed, where many OEMs were left behind by brands such as Xiaomi, Huawei and Apple; vendors overall need to improve their operational strategy, product and channel management to find a foothold in this highly competitive and important market.